These terms and conditions (“Conditions”) apply to all passes or badges supplied to events (the “Event”) run by Spear Communications Limited (“badges”) to be held at venues in the United Kingdom (the “Venue”). Events are organised and badges are issued by Spear Communications Limited, Cranmore Green House, Long Melford CO10 9AG, United Kingdom. Any person or entity who holds or uses a badge (“badge holder”) acknowledges and agrees that he or she is subject to the Conditions. All persons who wish to gain access to the Event must have a valid Badge. No one under the age of 18 will be admitted to the Event. Spear Communications or its agents and clients shall be entitled, but not obliged, to carry out identity and security checks (including photographic ID checks) upon presentation of the Badge by a Badge Holder at the Event. If the Badge Holder is not on Spear Communications invitation list of intended attendees at the Event Spear Communication, its clients or agents may, at their sole discretion, declare that Badge void and Spear Communications, its agents or clients may refuse that Badge Holder admission to the Event or remove that Badge Holder from the Event. By being present at any Event organised by Spear Communications you consent to being filmed and/or recorded. You also agree not to assert any moral (or similar) rights and give all necessary consents under the Copyright Designs and Patents Act 1988 (as amended) and all other applicable legislation in respect of any film and/or recordings. Spear Communications is entitled to make full use of any film and/or recording in all current and future media worldwide without any liability or payment to you, including permitting others to do the same. A Cloakroom will be available at the Venue. Money or valuables should not be left in the Cloakroom. All items left in the Cloakroom will be at the owner’s own risk. 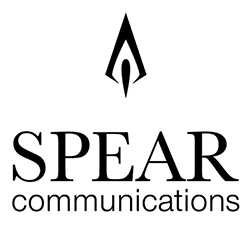 Spear Communications, its clients and agents accept no responsibility for any loss or damage to any property deposited or left in the Cloakroom. Spear Communications accepts no responsibility for loss or damage to any person or any property (including without limitation, any loss of the Badges). We reserve the right to prohibit within the Venue items which are or may be illegal, weapons, ammunition, explosives or any other item which in our reasonable opinion, may cause danger or disruption to the Event or to other visitors. In the event of a breach of the Conditions by a Badge Holder, Spear Communications, its agents or clients may at their sole discretion refuse the Badge Holder admission to the Event and/or remove the Badge Holder from the Event. In case of emergency please follow instructions and directions from the Venue staff, Spear Communications staff and/or other officials. No smoking is permitted in any part of the Venue. We reserve the right to refuse to serve you alcohol if, in our reasonable opinion, we believe that you are intoxicated or likely to become intoxicated if we serve you further alcoholic beverages. Neither Spear Communications nor its agents or officers shall have any liability to you whatsoever for any loss or damage you may suffer in connection with your presence at the Event and/or at the Venue. Notwithstanding paragraph 13 above, nothing in these Conditions shall be construed as excluding or restricting our liability for death and/or personal injury caused by our negligence nor for any other form of liability that may not by law be limited. If any provision of these Conditions is found to be invalid or unenforceable by a court, the invalid or unenforceable provision shall be severed or amended in such a manner as to render the rest of the provision(s) and remainder of these Conditions valid and enforceable. If Spear Communications delays or fails to enforce any of these Conditions it shall not mean that Spear Communications has waived its right to do so. All these Conditions are governed by English Law and any disputes arising under them are subject to the non-exclusive jurisdiction of the English Courts.